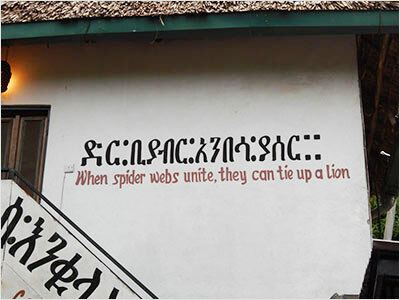 When spider webs unite, they can tie up a lion. This saying came to mind on my last day in Tanzania as I sat in the sun on my hotel terrace reflecting on the four weeks I spent giving workshops with the Publishers Without Borders volunteer project. Our aim was to show participants what they needed to know in order to digitize and upload their journals to a website or as an eBook. 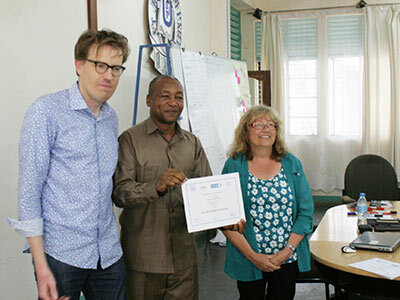 The project was set up in 2014 by The Elsevier Foundation together with VSO Netherlands, the Commission for Science & Technology in Tanzania (COSTECH) and INASP, a nonprofit organization with over 20 years of experience building research in developing countries, with the aim of “strengthening indigenous academic and digital publishing” in Tanzania through training, skills development and capacity building. The project actively promotes alternative business models such as open access and helps academic staff and university publishers to operate at consistent professional standards. 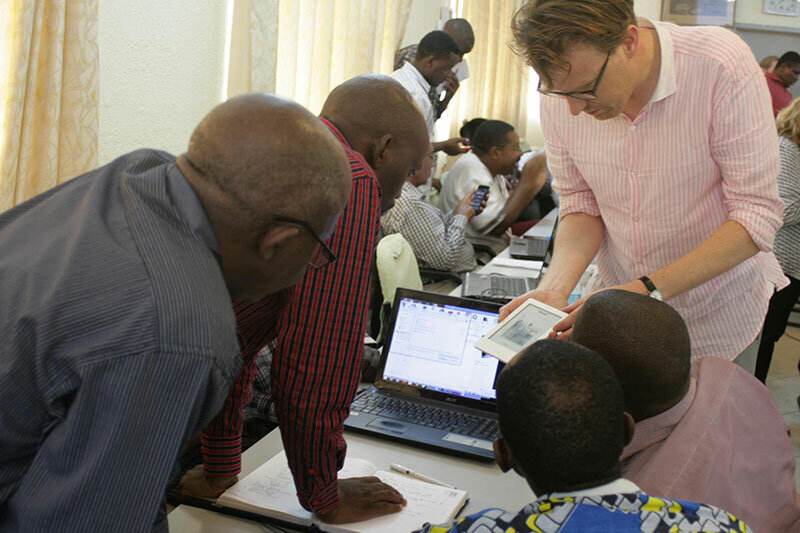 Eight Elsevier employees were selected from divisions specializing in journal and book publishing, production and marketing to share their knowledge and skills first-hand with Tanzanian scientists, librarians, research managers and publishers via workshops and conferences developed specifically for this project. Before us, our colleagues gave workshops on journal and book publishing at Dar es Salaam University and surrounding institutions. These sessions gave the participants a solid understanding of the steps involved in setting up a new journal or book through to publication, including vision and strategy. We built on these workshops by adding another key layer: digital publishing. For these workshops, I teamed up with my colleague Theun Fleer, a Content Standard Specialist responsible for designing, specifying, documenting and explaining content and data models for many of Elsevier's content streams. We used the hotel restaurant as our office for the first week, moving several tables together each day to create enough space for our laptops, eReaders and papers. This proved to be good choice; internet and air conditioning were reliable, and there was plenty of good coffee available to keep us going. Project Coordinator Maaike Duine worked closely with us, offering suggestions and advice on practicalities. Maaike had moved to Dar es Salaam last year to implement the project with VSO and key stakeholders, and she is the main person “on the ground” for the Elsevier volunteers. How can we teach digital publishing? Digital publishing is a broad area. It can encompass the regular day-to-day flow of content through a system, it can mean digitization of existing paper content, or it can mean taking existing electronic content and creating new products. The workshops would need to include information on details such as metadata, standards, DOIs (Digital Object Identifiers), content storage and suppliers. 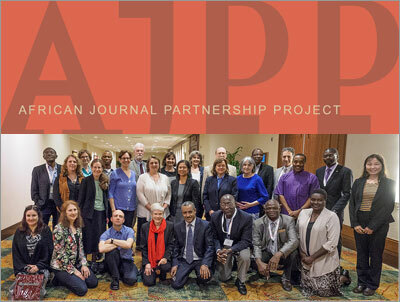 We knew that we would have to cater to digital beginners as well as participants who are already publishing some of their journals on AJOL (African Journals Online, a nonprofit organization hosting peer-reviewed African scholarly journals). We would be giving our first three-day workshop in Dar es Salaam and the second in the capital city of Dodoma, which meant a bus journey of eight hours each way. Some of the modules we presented were aimed at beginners, such as “Introduction to Metadata,” while others were more technical and advanced. As we walked around to assist during team exercises, it was great to see that the beginners were making notes of their own and referring back to them as they carried out the assignments. Collaboration was a key factor during our workshops, and we encouraged the participants to work together in groups, sharing knowledge and assisting each other. They certainly had some lively discussions and frequently asked for a time extension to fully work their way through the exercises together. The locations of the workshops were very different. The first workshop in Dar es Salaam was in the boardroom of the Luther House, which should be just a 20 minute drive from our hotel per Google Maps. However, rush hour in Dar is not to be underestimated; it took us at least an hour each way by taxi. We had a lot of participants, peaking at 30 attendees on day 2. Their backgrounds were quite mixed, ranging from academic and commercial publishers to librarians, graphics designers and even some suppliers, from all age groups. The warm lunch was really good and there was plenty of it – rice, noodles, chicken/fish, vegetables and snacks with coffee and tea mid-morning and afternoon. No wonder we would start to see sleepy faces after lunch! Luckily, Maaike had some good ice-breakers up her sleeve, likhe getting the whole room up on their feet to perform the exercise song “Heads, Shoulders, Knees and Toes” in English, Dutch and Swahili — causing much hilarity in the group! The third week saw us heading to the bus terminal in Dar to catch the bus to Dodoma. Maaike had already purchased tickets for us the day before, so our seats were safely reserved and we were on a good bus with air conditioning and just enough legroom – if you are not tall. Once we started moving out into the suburbs and beyond, it was fascinating to see roadside industries. What struck me most was the large number of carpentry businesses making beds and sofas – their finished products displayed along the roadside. I wondered whether they got much business from passing travelers, although I couldn’t imagine trying to get a bed into the back of a car seeing as they are not flat-packed! Apparently they leave their products out all night on the roadside; presumably they must employ Maasai guards to watch over them. The countryside was very green with occasional villages and small towns we passed through. Many of the small shops looked as though they had been constructed by the shop owners with materials they had available: wood, corrugated iron, occasionally bricks. Whenever the bus slowed down, people would run up to the bus windows with bowls of food, fruit, bottles of drink, biscuits, which you could purchase. Dodoma turned out to be cooler than Dar, a lot less humid and very green. We stayed in the Veta Hotel, close to St. John’s University, where we gave the workshops in the council room. We had 22 attendees, all of them working in one of the Tanzanian universities outside Dar, such as Morogoro, Arusha and Dodoma. They all had some experience in academic publishing, either online or paper. As in Dar, all participants bought fairly new, top-range laptops with them, making ours look very old and tired. The majority of them had good smartphones too, with Internet access, leading to the familiar scenario of participants checking their messages and notifications during presentations. In Tanzania, smartphones and cell phones are increasingly being used to gather, share and store information, particularly benefitting those in rural communities. Some of the participants from outside Dodoma were staying at out hotel; we had drinks together at the end of the day in the hotel garden, but we never got to play pool with them as we had planned; sadly, we could not find a venue with a table. The most popular module in both workshops turned out to be “Create your own ePub book and upload to a device.” There was a great sense of pride in the various groups when they managed to convert a document to an eBook and show it to the rest of the group on their smartphones, e-readers or tablets. Runner-up had to be “Digitization of legacy/old paper content.” Some participants bought paper copies of journals they wanted to digitize, so we had some great material to look at together and came up with a plan that worked for them. We left the workshops with the impression that there is still much work to do in developing digital publishing in Tanzania. 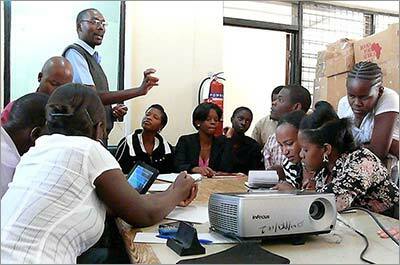 The publishers we met are all looking for ways to professionalize their publishing services while improving quality. They are concerned, on one hand, about how they can best protect their work from plagiarism, while on the other hand, they are looking for new ways to set up marketing campaigns using social media to reach new audiences – and any investment needs to be kept to a minimum. Within Elsevier, we see that digital developments move at a rapid pace, and we need to keep up with them, as individuals and as groups. We have been on the digital highway for a long time now and understand how challenging it is. This puts into perspective the difficulties that academic publishers in Tanzania face as they move into the digital world. Once the last team has given their workshops in Tanzania, we think that it would be useful to the participants if a forum could be created for everyone to ask questions and get answers from our experts and each other. It would also help us gain understanding about how they are using their new digital skills. It may be possible to accommodate this via INASP; we will be following up on this in the coming months. We all complain about our systems and our frustrations with them, but if we had to work without them, we could never publish the amount of content that we do at the same speed. You build up a lot of publishing know-how, historic and current, when you have worked with a company for 30 years (I started with Elsevier in 1985). To listen to my inner voice more (after falling over getting out of a small dhow in Zanzibar and ending up with a black eye). I knew it was a bad idea when I saw the boat. I miss the seasons, even the cold ones. People laugh a lot in Tanzania – we should try that more. On the verge of leaving Tanzania, heading back to the winter weather in the Netherlands, I’d like to think that we have created our own webs of knowledge that will unite with the webs left behind by our colleagues. I know that the next two volunteers will create new knowledge webs to join up with ours, which can go a long way towards helping academic and digital publishing in Tanzania expand. Publishers without Borders is part of a two-year research capacity building project: Strengthening Indigenous Academic and Digital Publishing. Participating organizations include VSO, the Commission for Science & Technology in Tanzania (COSTECH); INASP, a nonprofit with over 20 years of experience building research in developing countries; and the Elsevier Foundation. To learn more about the Elsevier Foundation's involvement, contact Ylann Schemm (@ylannschemm), Elsevier Foundation Program Director, at y.schemm@elsevier.com . 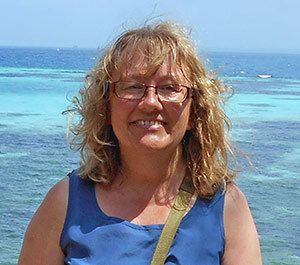 As Team Manager for Electronic Warehouse ContentProject Management at Elsevier, Geraldine Lovell manages a team of seven peoplewho work closely with external suppliers to ensure that older legacy content(hard copy or non-standard electronic data) is converted into a format that canbe ingested into Elsevier content systems and displayed on multiple platforms.She was in Tanzania for four weeks in January and February with ContentStandard Specialist Theun Fleer, as part of the Elsevier Foundation’sPublishers Without Borders program. Geraldine is originally from London and isnow based in Amsterdam.